Hard to believe your eyes, isn't it? I mean, is that a horse or a very tall sheep? My mother bought a horse named Nugget when I was growing up. Nugget was a fantastic horse...but every winter, he changed! His fur started to get curlier and curlier, and it stayed that way until spring, when he shed it all out. My mother always said Nugget was part buffalo. Flashback 1930s: Mustangs running free in Nevada. But some horses among them had fur that was different. It was long and curly! 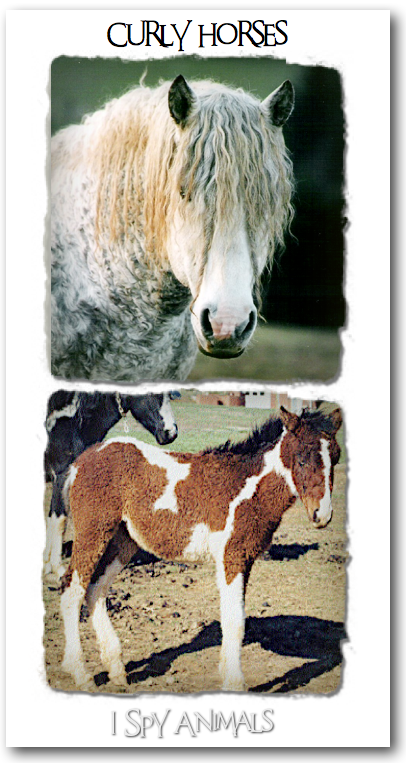 A rancher caught and tamed some of the curly-furred mustangs because he noticed that they always survived, no matter how harsh the winter. 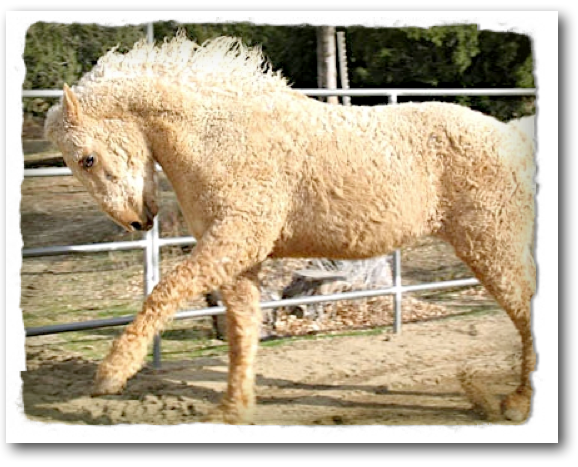 And now we have the Curly horse! 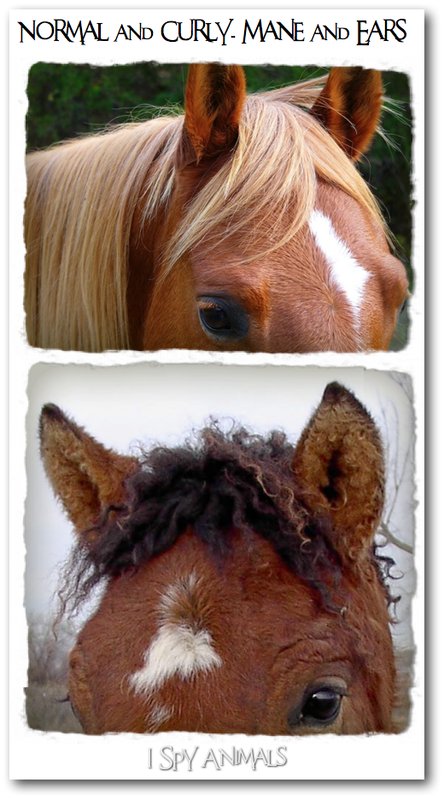 Believe it or not, Curly horses have been around a long time. 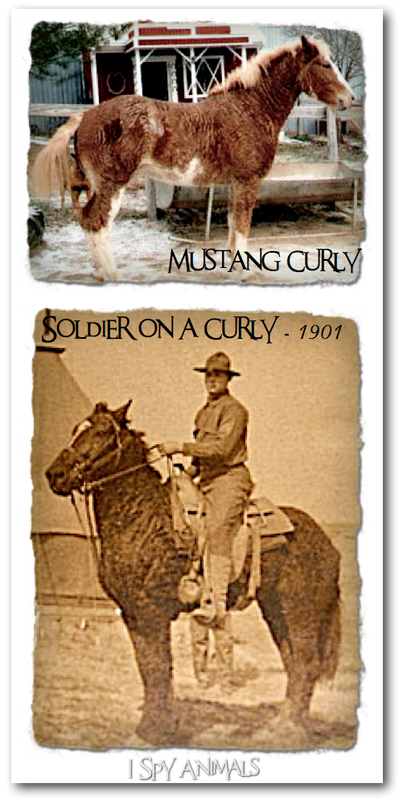 The U.S. Army had Curly horses in the early 1900s. What about you? 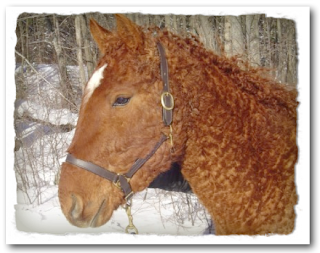 Have you ever seen a Curly horse? Those are sooo cute! 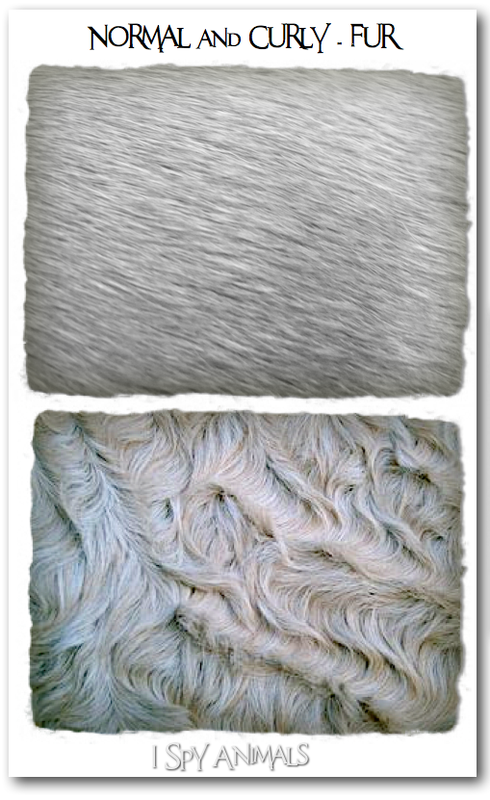 Are they just as soft as the horses with straight hair? And their ears are so fuzzy and adorable! I might have just posted this but it didn't show up. Those are so cute! Are they just as soft as the horses with straight hair? And their ears! Why are they so cute?